Years ago when I had the epiphany that I really didn't like selling, the thing that most convicted me was the feeling that I too often wasted the prospect's time. No one told me that, but upon honest reflection, I knew it to be true. How? Because I had been in the buyer's role myself and I knew my approach to selling wasn't much different from those who I felt had wasted my time. 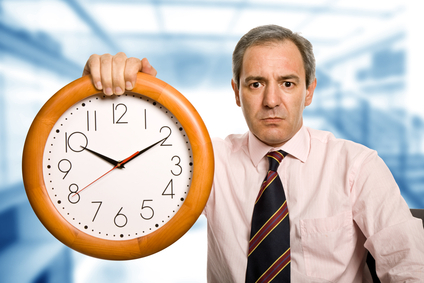 Salespeople routinely ask for our most valuable asset—our time. And what do we get in return? A sales pitch? An introduction to the seller's company? Perhaps a little bit of helpful information. I'm assuming that buyers of A/E services are much like me; they want a fair return on the time spent with sellers. Show and tell. Many firms prepare presentations on various technical subjects and case histories in hope of impressing prospective clients. But they often miss the mark, especially if the show and tell occurs too early in the sales process. Sharing your insights work best when you can directly relate them to client needs and aspirations. Remember to keep the client, not your firm, at the center of the conversation. For example, instead of simply presenting a case history, use your clients' experiences to illustrate how the prospect's problem might be addressed. Interrogation. On the other hand, you want to avoid going to the other extreme of asking too many questions without offering helpful information or advice. Many sellers seem to think that asking questions is client-centered because it indicates interest in learning more about the client. But without a mix of helpful information and advice, your asking a lot of questions is not likely to be perceived as working in the prospect's interest. An effective sales conversation should be a careful balance of give and take—with an emphasis on giving. This can really help you—if you hire us. Perhaps the most common mistake I see in defining an entree is to attach strings to it. For example, "let's tell them about how our proprietary modeling software can help them plan their project." There is certainly a time and place for describing your distinct advantages as part of the sales conversation, but that doesn't make for an effective entree. Why? Because the benefit is conditional and thus is likely to be viewed as self-serving. Far better to offer some help that doesn't require the prospect to hire your firm. Let's do lunch. There are surely still some prospects who enjoy a free lunch, but many will consider this an intrusion on their personal time if there isn't more than food to be gained. Asking a potential client to lunch is fine as long as you don't assume the client's reward is the meal (or the opportunity to spend time with you). You must still deliver a more valuable entree than what's on the menu. Lunching one's way to the sale is particularly popular among those who practice the friendship approach to selling. That method works well for some and some clients seem to appreciate it. But I'm convinced that most clients prefer a profitable business relationship over a friendship that doesn't deliver business results. In other words, beware of thinking that your greatest sales asset is your likability. Been there, done that. Prospects value your past experience when it's specifically related to their own needs. An effective entree usually is offered something like this: "I read about the difficult engineering challenges you're facing with your facility expansion. We dealt with a very similar situation working with Acme and wondered if you'd be interested in learning how they dealt with those issues." The subsequent meeting should involve a mix of clarifying the client's needs through well-planned questions and sharing relevant aspects of your experience and expertise. Here's what others are doing. Don't limit your entree to your own experience. As an expert in your field, surely you're familiar with other projects and problems that are relevant to the prospect's need. If not, do your research. Most clients are more interested in hearing what their peers are doing than what you or your competitors are doing. So there's no need to link your entree to your firm. Be prepared to share the very best practices and insights that can help the prospect—no matter where this information comes from. Here's a resource we're willing to share. Occasionally, you may find yourself in the position to offer some kind of tool or resource that can help the prospect. This might be data, maps, site information, a checklist, a planning guide, a spreadsheet. You might want to develop some tools that would be widely valued by prospective clients. Keep the principle of reciprocity in mind. When you are helpful and generous with information, that often creates a sense of obligation to reciprocate. It's a powerful sales tool. There are, of course, multiple variations on the entree approaches summarized above. The common theme is a respect for the prospect's valuable time, enough so that you take steps to avoid wasting it. This helps build the trust that is so critical to sales success. Offer fair trades for your sales prospects' time and see if that doesn't make the time you spend on selling far more productive. Good article on fair trades for the sales prospects time.